No, I am not a mommy blogger or an expert in parenting issues. I am a parent, one who blogs about travel and loves exploring the heritage sites of the capital with my pre-teen! I treat each holiday, weekend as a way to acquaint my son with new gems of architectural, historical an historic significance in and around Delhi. Better than spending time, money and energy in a mall right? I have been to, along with my son in tow, to museums, baghs, mausoleums, churches, libraries and galleries across the city. So come along with us on five must see places in Delhi, that you have to visit on your next trip home or sojourn to the city! the16thcentury 90-acre heritage garden project-the Sunder Nursery. Once an ensemble of enclosed Mughal gardens; within the Sunder Nursery-Batashewalacomplex, stand 15 monuments including tombs, garden pavilions, wells and even a 16th century lotus pond. Enveloped in a symmetrical sanctuary inside, you encounter the mausoleums of Sunder Burj, Sunderwala Mahaland Lakkarwala Burj; the pavilion tomb of a son-in-law of emperor Akbar’s- Mirza Muzaffar Hussain, Chotta Batashewalatomb and an unknown Mughal tombinthe adjoining Batashewalacomplex. Visit it around evening in summers and in the mornings during winter. Ideal for picnicking amidst the marvel of mughal architecture and serenity in the heart of the city! Entry when we went was free, there might be now a minimal fee. 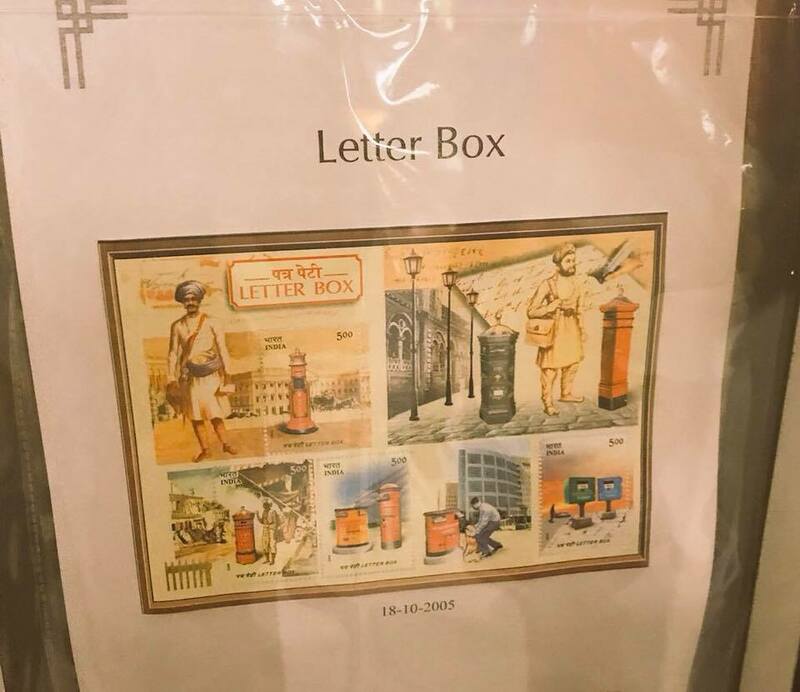 The National Philatelic Museum is located at the Dak Bhawan on Sansad Marg and is also operated by the department of Post. It is on the ground floor of the building, and underwent a redevelopment in 2011. It now hosts an amphitheater for presentations and discussions, a library and a designated space for artists at work. The Museum has displayed a number of frames in which exhibits of stamps are placed neatly. There are first covers, air mail model on display and also one can purchase old inland letters, and postcards as souvenirs. Entry is free and is open from 10 a.m. to 5 p.m. Plus, it’s a stone throw’s away from Jantar Mantar on Janpath. Go! Adjacent to the much foot-falled, Lodhi gardens, is another marvel tucked away from the lazy eye. The Tomb of Safdar Jung. The imposing marble and red sandstone mausoleum was built in 1754, for the statesman of the Mughal empire -Safdarjung. With a tree lined avenue leading up to the architectural delight- it’s a quick visit thing with a hop across to the Jor Bagh , the Book shop, should you wish! A nominal fee is charged for an adult and the kiddo is free, carry some snacks to munch your way into history. The symmetry of the garden is unbelievable! 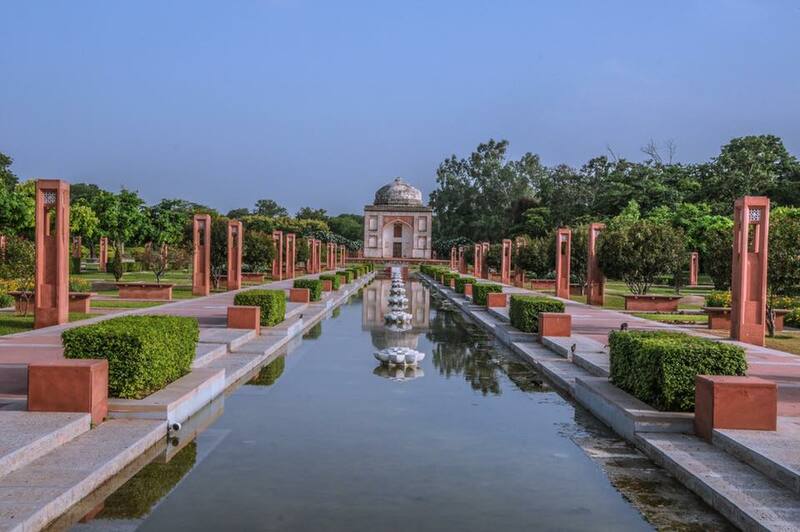 Situated in the Civil lines area of north Delhi, it is a garden complex that was construted in 1748 The complex was constructed in the 18th century for the mother of Ahmad Shah Bahadur, Qudsia Begum. So what you get to see is a sprawling garden, much in disrepair but also the Shahi mosque, the stables with British and Mughal influences in architecture and the grand entrance . Go for a see of what was lost….especially after the 1857 rebellion. The capital abounds in structures that bear legacy of the colonial architectural features. One such heritage hotel is the Maidens at Civil lines . With its Corinthian pillars in palatial, high ceiling foyer, housing typical arches with a winding wooden staircase overlooking the grand entrance, this is ideal setting for some culinary satiation along with the revisiting of the era gone by. All under the majestic dome of the Maidens! Bon Appétit! A hearty breakfast post a heavy history trip! Of course there are many more vistas of Delhi’s history left out. Apart from the space constraints to cover all in one go, theres also the thing of what I enjoyed the most .. take your pick and add yours! Also, I feel these places are ideal for even kids as young as eight if they have already been introduced to such nuggets earlier, else, I would highly recommend some pre-reading on the places on your itinerary, by you and the kiddo, both. Preparing the child for the trip, expected number of breaks in between, the hours to be spent sight seeing and a post note or a chat about the trip are some things I do to make the experience more long-lasting and meaningful. so next time you have a day off, make it work for both, you and the kid- please avoid the mall, unless of course it is for MI Fallout! Happy sojourning and let me know which place you checked into. Previous post: Sleeveless in the City No More!